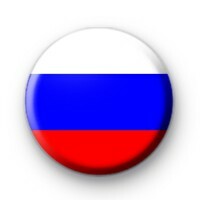 Russian National Flag Button Badge. The Russian national flag is tricolour, consisting of three equal horizontal fields: white on the top, blue in the middle and red on the bottom. Great for sporting events, schools and of course the upcoming Football World Cup. All our badges are 25mm and handmade in Cornwall.